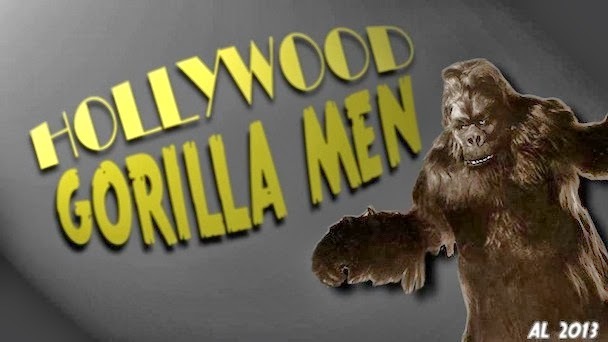 Hollywood Gorilla Men: SEE - 10,000 YEARS OF UNINHIBITED SAVAGERY, LUST AND EVIL! SEE - 10,000 YEARS OF UNINHIBITED SAVAGERY, LUST AND EVIL! 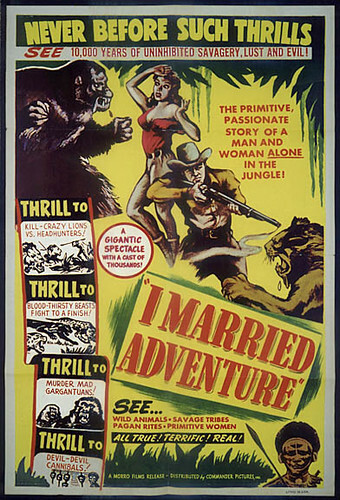 Although there are no gorilla suits in this travelogue released in 1940, I can't help but love the full bore exploitation-style proclamations on the one sheet for I MARRIED ADVENTURE. 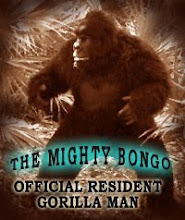 The film features actual footage shot in 1920's and 1930's Africa by husband and wife adventurers, Martin and Osa Johnson. 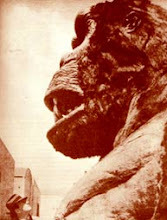 The material had also been used in earlier releases, Simba (1927), Congorilla (1932) and Baboona (1935). Based upon the book of the same name, Osa discusses her 20 years traversing the Dark Continent, bridging the various clips. 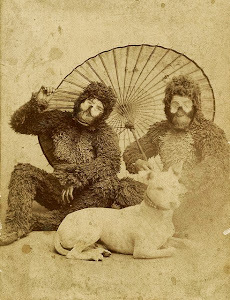 Learn more about this extraordinary couple on Wikipedia.